Dark circles? Lack of sleep or just plain genetics can often cause them and it's not the best, especially on those no makeup days - you often get the comments "Are you sick?" a bit too much. I know I have. My dark circles have always been the most irritating thing I've dealt with in terms of skincare issues (more than acne ever did as a teen!). So trust me when I say I've tried it all and I've finally found some amazing tips and tricks to absolutely hide those raccoon eyes. I'll share my favourite concealers and also go over other ways to prevent and treat dark circles as well. So let's get into it! My fool proof concealer routine. I think it's only fair to go over the simple steps I take to ensure that my dark circles are concealed and stay that way all day long. So here's my go to team right now and the steps I follow. What you'll need: Beauty blender (or similar sponge), your favourite colour corrector, your favourite concealer (scroll down below for my current favourites), a setting powder, a clean brush (to wipe away setting powder) and a setting spray. 1. Use your favourite peach (fair skin tones) OR orange (for medium to deep skin tones) based colour corrector and a damp sponge to apply the colour corrector underneath your eyes. Take your time and blot gently moving in a downwards direction. You can also apply this on your eyelids and in the corner of your eyes if those are problem areas as well. 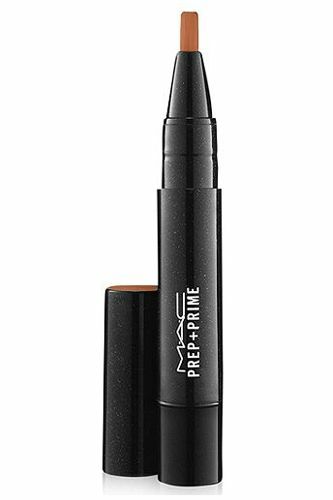 My personal favourite for colour correcting is MAC's Prep & Prime in shade Peach Luster. I use an orange based color corrector which works perfectly with my medium skin tone. Pro Tip: DO NOT stick all of that product directly under your eyes near the lash line - you want to make sure the product is going in a down motion as to take the eyes away from your problem area. A lot of people pack on product directly under their eyes and this not only creases but also accentuates the wrinkles and thinner skin under the eye area. 2. Now applying your concealer (allowing at least 2 minutes for the colour corrector to set) the correct way is important as the technique matters. A lot of people make the mistake of packing on the concealer directly underneath their eyes. There are also a lot of YouTube and Instagram beauty gurus that do it this way. BUT it actually accentuates the fine lines and wrinkles underneath your eyes and irritates the skin that's already quite thin there. Try to move downwards so that the attention is going away from the dark circles and you're not piling on product there. Use a damp beauty sponge and blot gently downwards for the best results. Pro Tip: Start with less product and build from there. You don't want to use too much product! 3. Now that your concealer is on and looking good. You want to make sure you set it in place from creasing on you or coming off after a long day. 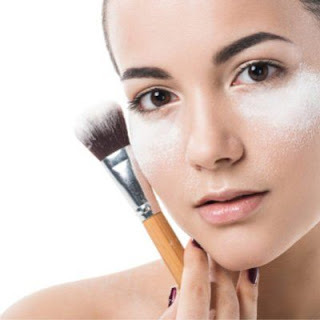 You want to let the setting powder set (pretty much baking here) underneath your eyes for about 2-3 minutes before brushing it away for the best results. I personally gravitate towards the Huda Beauty baking powder as it also does the job of colour correcting once again - I use the shade Banana Bread and it brightens underneath my eyes. 4. And now that your dark circles have vanished - you want to spray it all and seal it in place. Setting sprays also help get rid of any cakiness that too many powders and creams can give the illusion of as well. My holy grail when it comes to setting sprays has always been Urban Decay's All nighter setting spray. I honestly don't use any other at the moment. - For those of you that don't mind dropping some $$ - there are treatments offered by cosmetic surgeons that help lighten the areas under your eyes as well. * Keep in mind, the treatments offered are NOT permanent and normally last about a year.